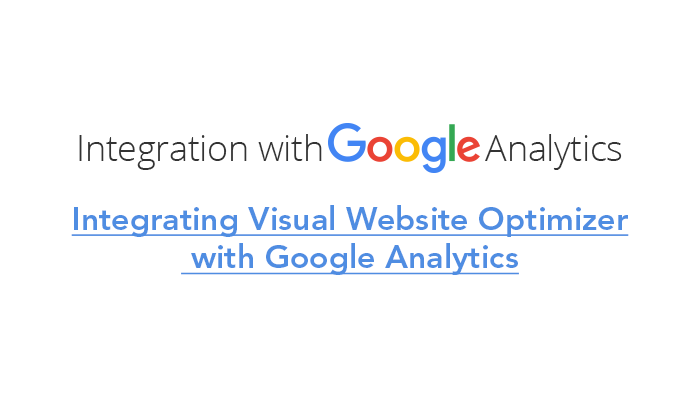 By integrating Visual Website Optimizer with Google Analytics, you receive all your data from VWO in your Analytics account. By applying the filters available, you can examine your data in more depth. The first step is to create Universal Analytics custom dimensions for your VWO tests. This will enable you to configure the integration. In your Google Analytics account, head to “Admin” on the dashboard. Choose the account you want and a property. Next, find “Custom Definitions” under “Property” and choose “Custom Dimensions.” A new page will appear. Click the “New Custom Dimension” button. You should give your dimension a unique name, select “User” from the drop-down list in the “Scope” field, and check the box under “Active” to start collecting data immediately. Repeat this process for every running test you want to integrate. In your VWO dashboard, choose the test you want to integrate. 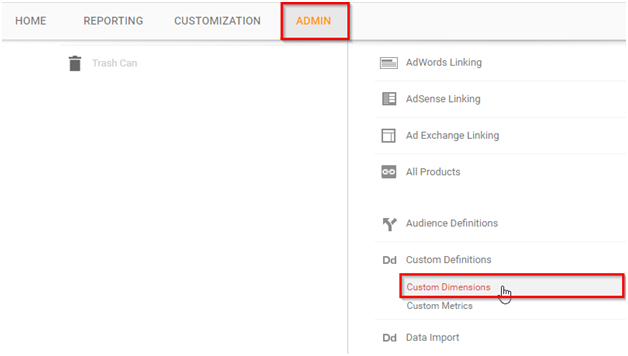 Under “Settings,” select “Others” and then “Integrate with Third-Party Products.” Choose “Universal Analytics.” A box will appear where you need to define the custom dimension. Refer to the index number you previously generated — each test on the same domain needs a unique custom dimension ID. You only need to add an account prefix if you have more than one Google Analytics account. Bear in mind, this is not your profile ID but your account. To create a custom report, you need to head back to your Google Analytics account. Under the “Reporting” tab, choose “Audience Overview” and click “Add Segment.” Click “New Segment” and then “Conditions,” which you will find under the “Advanced” menu. Define a segment to view the custom report for a test. By specifying the test ID, you will see a consolidated report with all the variations and control. You can see the data for any of the variations by selecting from the drop-down menu. Alternatively, you can use Google Tag Manager to push VWO test data to Google Analytics. This also enables test data to reach other analytics tools via Google Tag Manager. Give the variable a name that corresponds to the dimension name. For the variable type, choose “Data Layer Variable.” Use your Campaign ID for the data layer variable name and choose “Version 1” for the data layer version. Check the box next to “Set Default Variable” and give it a value of 0. Now you need to create an event to allow VWO to push data to GTM by firing a tag. Under “Triggers,” select “New.” Give the trigger a name and choose “Custom Event” for the trigger type (you’ll find it under “Other”). The event name must be VWO. Set the trigger to fire on some custom events. This will allow you to set the conditions: variable does not equal 0. Next, you must create a new tag in GTM. Find “Tags” in the side navigation and click “New.” Give your tag a name, specify the service you want for the tag type, and choose “Event” for track type. In “Event Tracking Parameters,” enter “VWO” for the category, “Custom” for the action, and “True” for non-interaction hit. Plus, check the box next to “Enable overriding settings in this tag” and enter the tracking ID of the data you want to push. With your tags created, you now need to associate them with firing rules. Head to “Triggering” and then “Firing Triggers” to choose the trigger you created. Save and publish. As you can see, it is slightly simpler to integrate VWO with Universal Analytics than with Google Tag Manager. In fact, you should only use the GTM instructions if the Universal Analytics code on your website is installed through GTM. What Are External Account Links in Google Tag Manager? ← What Are External Account Links in Google Tag Manager?